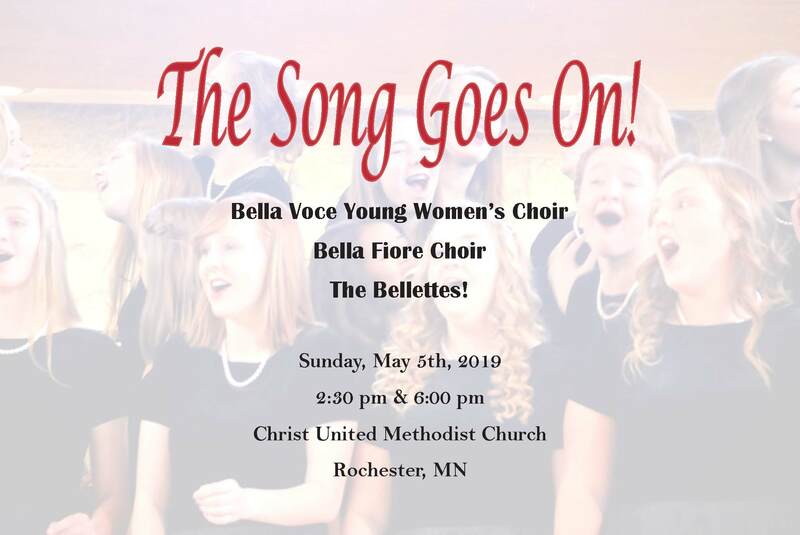 Join all three Bella choirs for an exciting program celebrating the gift of music and community. Selections range from Renee Clausen's setting of Sarah Teasdale’s beautiful love poems, to “Barter,” to a Norwegian folk tune “Jubilanten.” These are sure to have you moving in your seat, along with the mass pieces sung by 165 beautiful angelic treble voices! In addition, Bella’s community outreach, Rochester’s Neuro Hospitality House, will be introduced. Learn about this wonderful addition to our community that helps those visiting Rochester who are dealing with disabling neurological diseases. You will certainly go home with a new spring of love and hope in your heart. Special Note: This will be Shelly Winemiller's final concert directing Bella. As we celebrate her accomplishments, we’re very excited to introduce Doug Carnes as the vibrant interim director who will lead through next year’s transition.